The Teen Focus Recovery Center in Mora opened in August. Kanabec County residents battling addiction now have an option for treatment in Mora. Teen Focus Recovery Center opened its doors in August and serves as the new adult and adolescent chemical dependency treatment center in the vicinity of Mora’s business district. 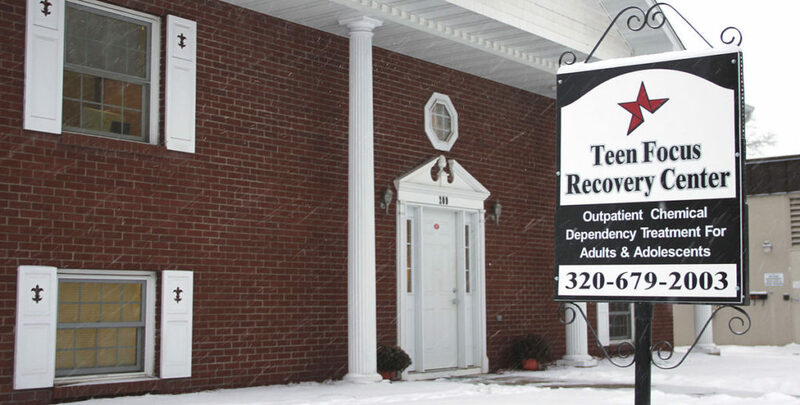 Rush City is home to Teen Focus’ original treatment center, which has been operating since 2008. “Kanabec County expressed a need for outpatient service after Dellwood, (another outpatient program), closed its doors in Mora,” explained Teen Focus Recovery Center Program Director Lynette Kuzel. It also runs three jail programs in Mora, Cambridge and Pine City, where inmates receive treatment from counselors. Who are these preteens experimenting with drugs and alcohol? According to the Substance Abuse Coalition of Kanabec County, “90 percent of Americans with a substance abuse problem started smoking, drinking or using other drugs before age 18.” Further, 22 percent of Kanabec County’s 15,996 residents are under the age of 18, based on U.S. Census Bureau data. At least one survey conducted through the Minnesota Department of Human Services revealed Minnesota students reported using alcohol for the first time at age 12.5 and tried marijuana at 13.1 years old (2013 Minnesota Student Survey). The need for treatment in Kanabec County is evident when following the data from SUMN.org (Substance Use in Minnesota, a project of the Minnesota State Epidemiological Outcomes Workgroup (SEOW)). “Kanabec County students are more likely than the state average to report past 30 day alcohol use, binge drinking, tobacco use, marijuana use and misuse of prescription drugs. While Kanabec County data on adult use are not available, adults in the East Central region are more likely than the state average to report past month binge drinking and cigarette smoking. The percentage of motor vehicle crashes that are alcohol-related is higher in Kanabec County compared to the state average, as is the lung, bronchus and trachea cancer death rate.” The Minnesota State Epidemiological Outcomes Workgroup is funded through the Minnesota Department of Human Services, Alcohol and Drug Abuse Division (ADAD). Natasha Stenbock is a contributing writer for the Kanabec County Times.